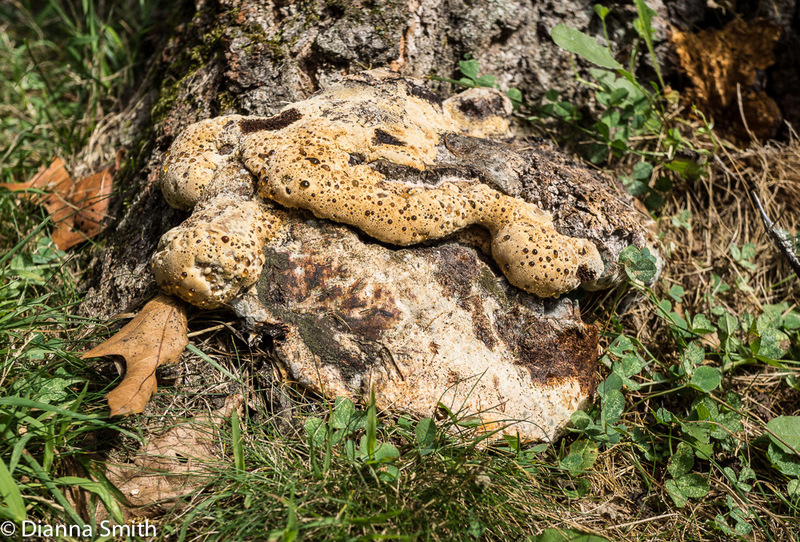 “Oak Bracket” or “Weeping Polypore”. Parasitic and saprobic. 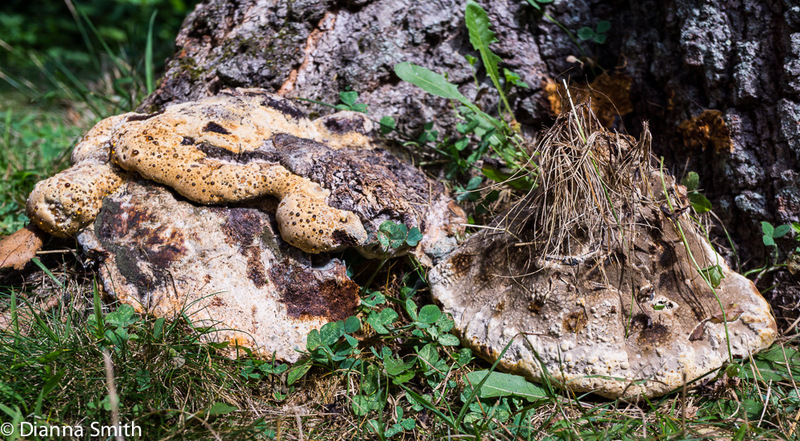 Causes white rot at oak base; secretes an orange-brown exudate. It has a cream to orange-tan colored velvety cap surface with a yellowish margin. Whitish to gray small pores become ochre or yellow with age. Flesh is yellowish-brown and soft. Spore print is white. Appears in summer and fall.